This is Luisa Guagneli standing outdoors. 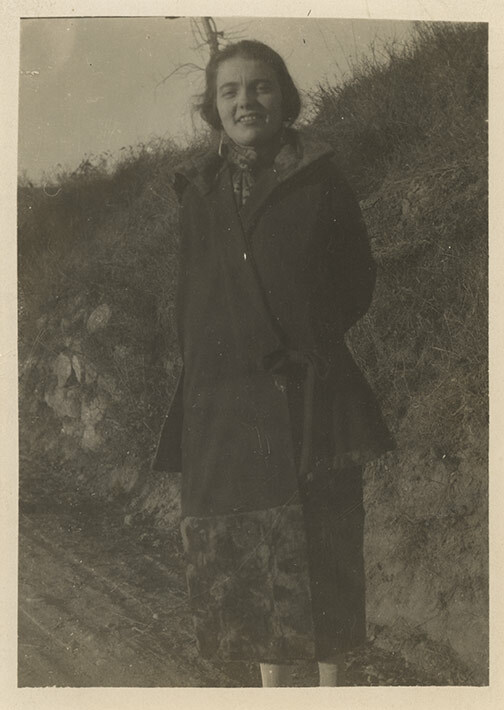 She is wearing a dark coat, white stockings, and a dark coloured printed scarf. A mid-calf length skirt or dress with floral patterns peaks out from under her coat. She is smiling at the camera with her hands in her pocket. The background shows a dirt road and a grassy mound.